Sired by one of the top earning, most accomplished race horses in modern times; English Channel, and born out of a Saratoga stakes producer, this "Jazzy" colt has the potential to be a top race horse in New York. Jimmy's Father, English Channel, continues to be a consistent sire of Gr1 stakes winners on dirt and turf. His offspring embody the class and stamina of their sire, giving us a leg up on the competition with this magnificent animal. One time we ran against English Channel and there was no catching that running machine! The quicker the pace went, the faster the horse ran. When we thought his speed was drawing back, he kicked it into overdrive and took off. It was an amazing display of stamina and speed - which is what champions are made of - and champions make great sires! Jimmy's mother, Nikki Tootsie, produced Judy Soda who won multiple stakes at the greatest race track in the world: Saratoga! With earnings of over $395,000, Judy placed in multiple stakes at Belmont, and Aqueduct race tracks. A very consistent winner, Judy Soda starting her career at 2 and was racing until she was 5. Soundness was definitely a factor in the longevity of her racing career. Nikki Tootsie's produce record couldn't be better. She scores a big fat 100% as a producer having all high class New York winners. With the looks of this beautiful colt, we are hoping to keep that perfect record - we don't think we should have any problems here. If you are considering getting into race horse ownership for the first time, or you are an old pro looking to add a real nice horse to your stable, this is a great opportunity at a reasonable price point. Picture yourself standing, smiling and cheering on the most expensive real estate on earth; the Saratoga Race Courses' Winner's Circle. 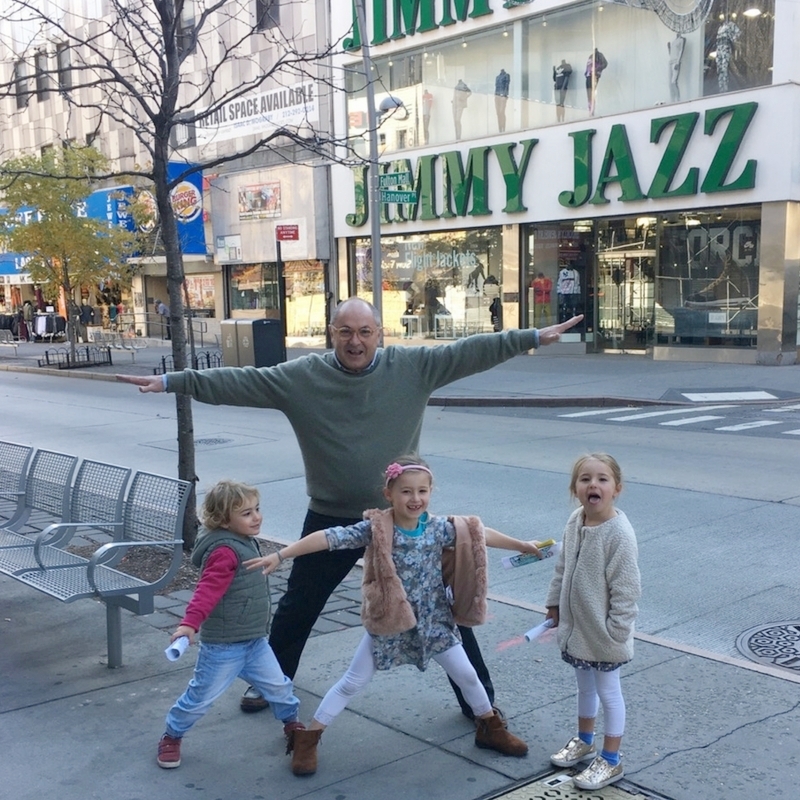 Managing Owner, Tom Gallo, and his grandchildren searching for inspiration for our new class of champions. Stumbled upon this awesome store in Downtown Brooklyn and the name stuck!